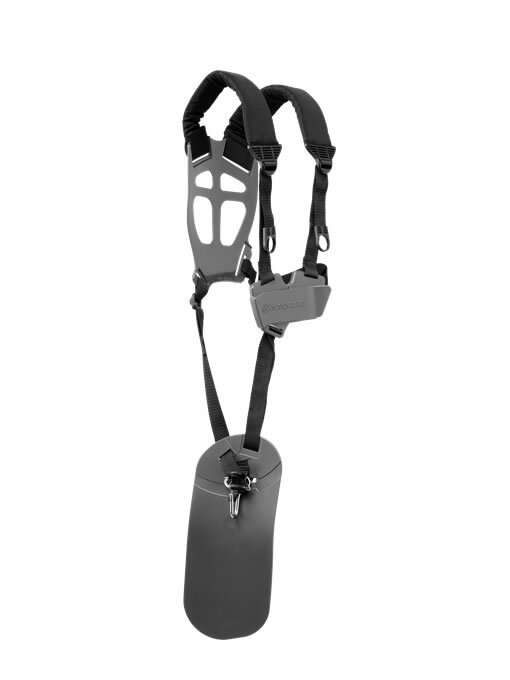 Improve your working ergonomics with this harness. Designed specifically for use with Husqvarna's battery trimmers, the Balance 35 B Harness distributes the load optimally between your shoulders, chest and back. It boasts wide padded straps and a wide back plate to reduce the load on your upper body, while the plain hip pad included has a travelling connection so you can manoeuvre your machinery with a minimum of body movements.